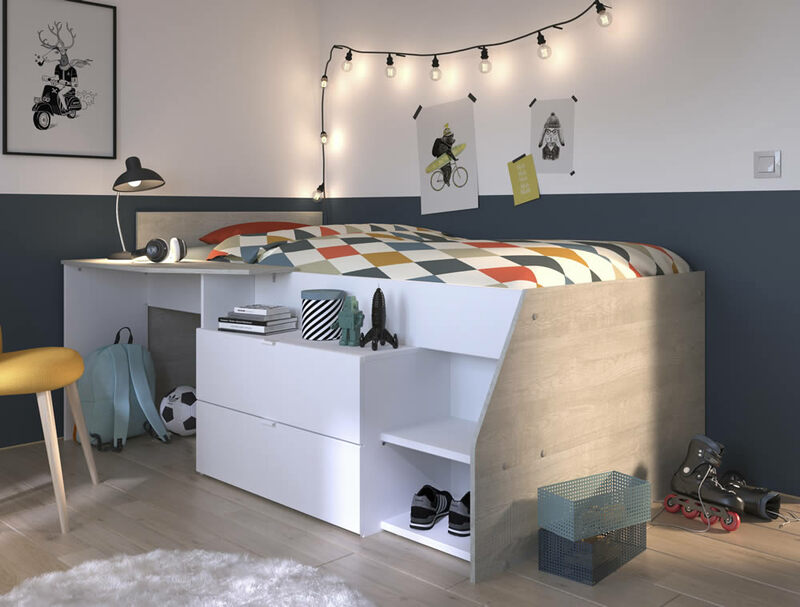 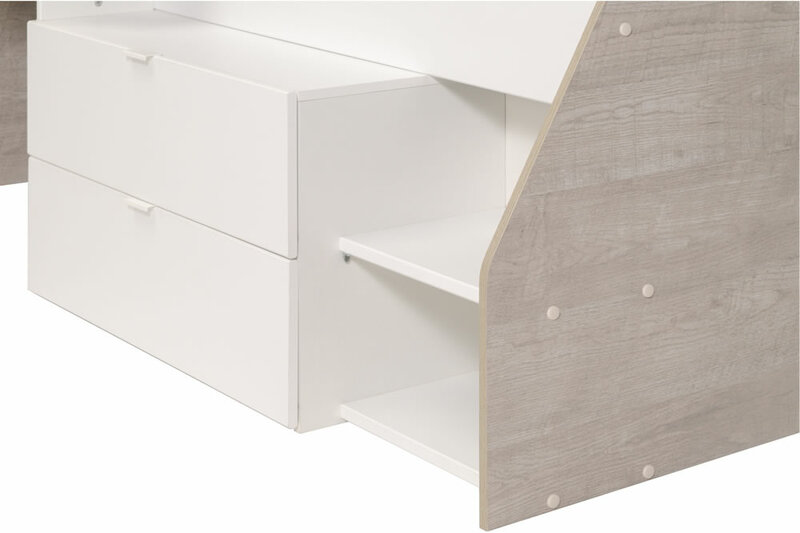 The Parisot Milky mid sleeper children's bed comes in a white and loft grey oak effect finish perfect for your little prince or princess. 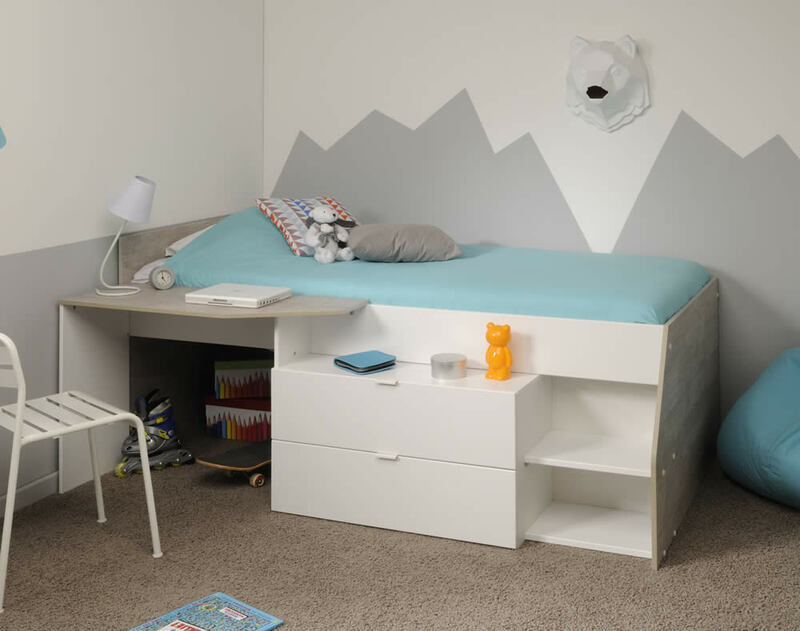 A sturdy built in ladder with two steps offer easy access to the sleeping area. 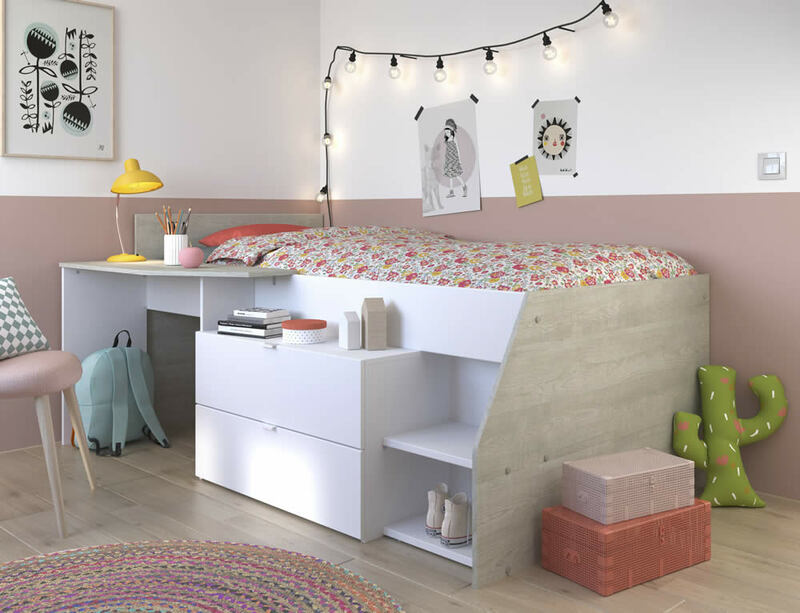 To encourage study and creativity time a fixed desk is included. 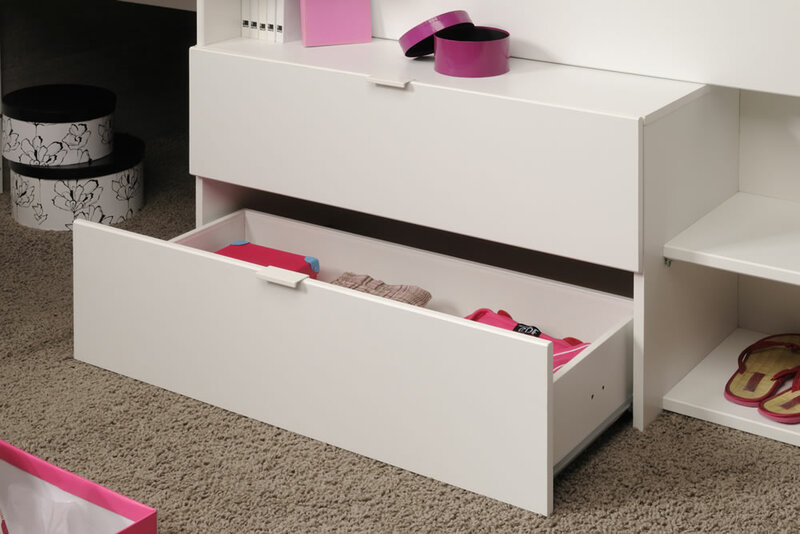 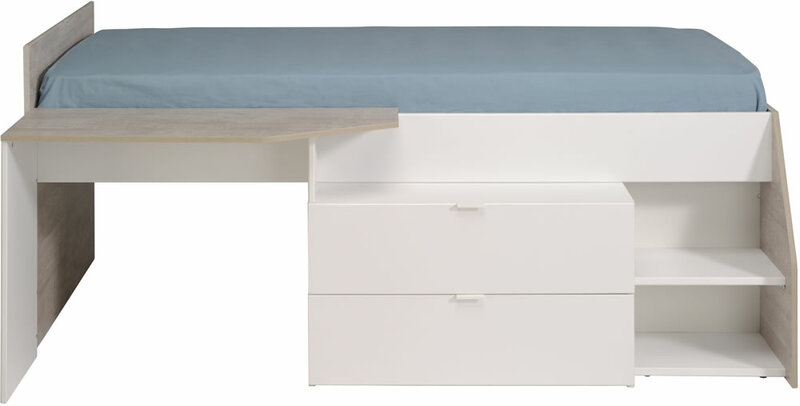 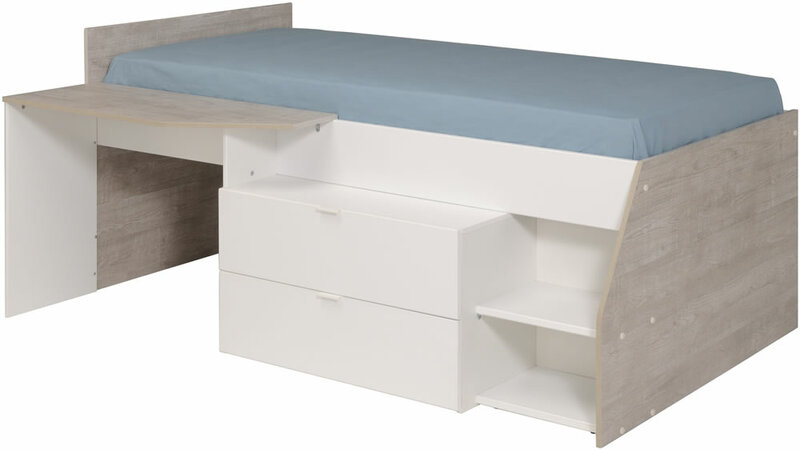 For additional bedroom storage the Milky mid sleeper features two built in storage drawers.